Sexting has grown dramatically among young people in North America, and independent schools across Canada are questioning their role in ensuring safety, mitigating risk and assisting students understand their rights and responsibilities. This webinar will review the legal risks and liability issues for schools. If sexting occurs during school hours is responsibility different than if it occurs from home and after school hours? How should a teacher respond if he or she discovers this conduct? What is the responsibility of the school’s IT Director if he or she uncovers this behaviour on school servers? What are the potential consequences for sending explicit images under the Criminal Code? What advice should schools give students and parents to prevent this behaviour? Eric Roher is National Leader of the Education Focus Group at Borden Ladner Gervais LLP. 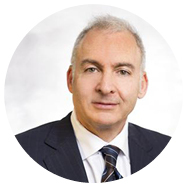 Eric practises in the areas of education law, labour relations and employment law. He advises a range of public and private sector employers, as well as school boards and independent schools. He also represents clients before administrative tribunals and labour relations boards, including the Workplace Safety and Insurance Board, Human Rights Tribunal of Ontario, the Ontario Labour Relations Board and the Ontario College of Teachers.